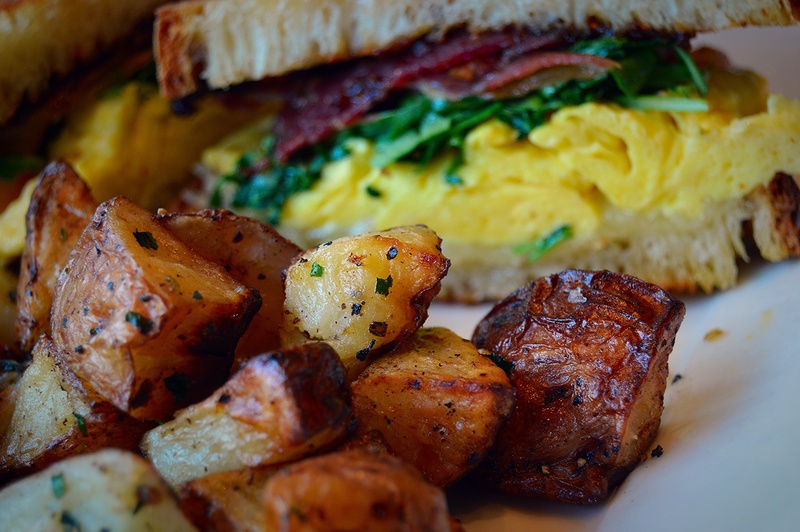 Portage Bay is one of my favorite restaurants for breakfast and brunch. This restaurant is in the Eastlake area located north of downtown Seattle and is close to Lake Union. It is in a developing area, with new office buildings, apartments, and restaurants. Portage Bay is a very popular restaurant and we had to wait approximately 30 minutes for a table. 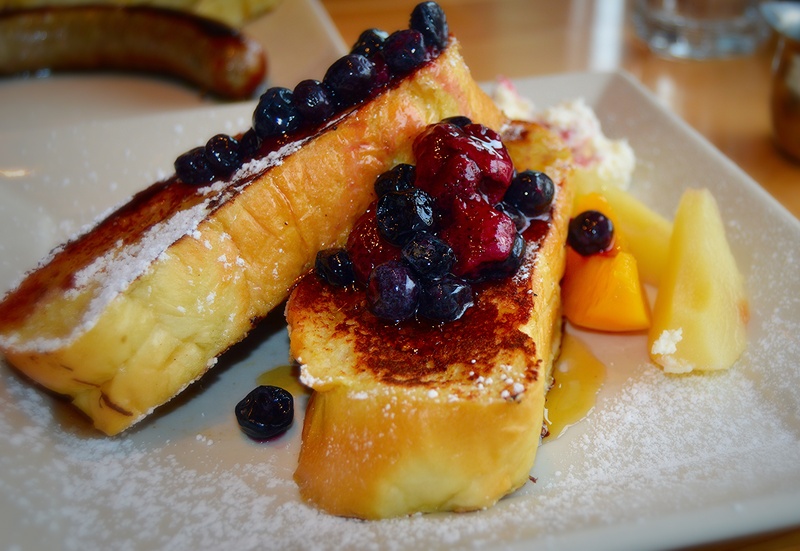 To escape our busy and stressful work schedules, my husband and I took a day off in the middle of the week and decided to have a nice brunch at Portage Bay. As we expected, the restaurant on a weekday was not as crowded as the weekend. We were able to pick a table by the window where we could enjoy both our food and the street view. 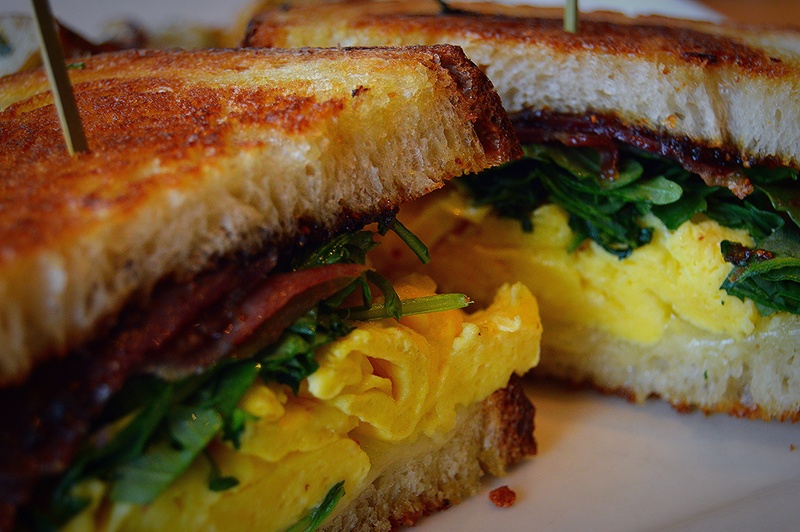 My husband had a sandwich with Como bread, scrambled eggs, organic arugula, prosciutto, and fig jam. The harmony of salty prosciutto, sweet fig jam, and the slight bitterness of arugula was delicious. I ordered classic French toast with challah bread. 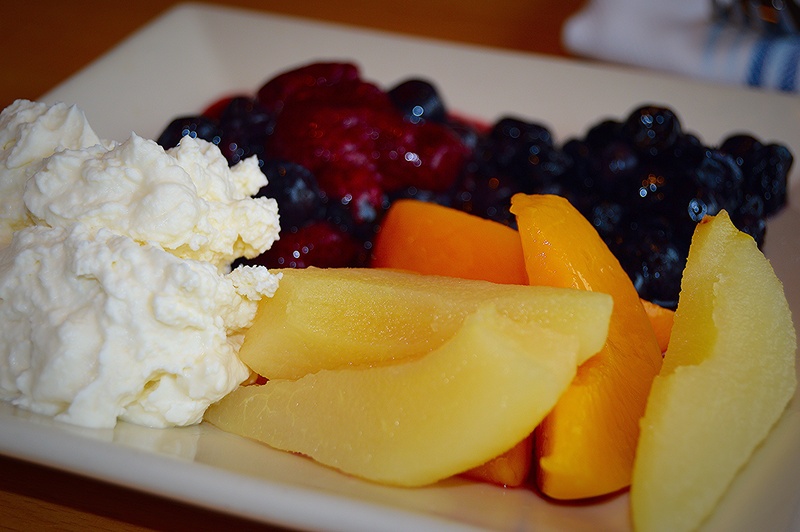 This order included access to the breakfast bar which has a variety of selections such as fruits, nuts, and organic maple syrup to top my meal. My husband and I typically order one sweet dish and one savory dish, so we can appreciate both sides of the flavor scale.